When you create your book in iBooks Author, one of the first and most important decisions you'll make is deciding on page orientation: landscape, portrait, or both. 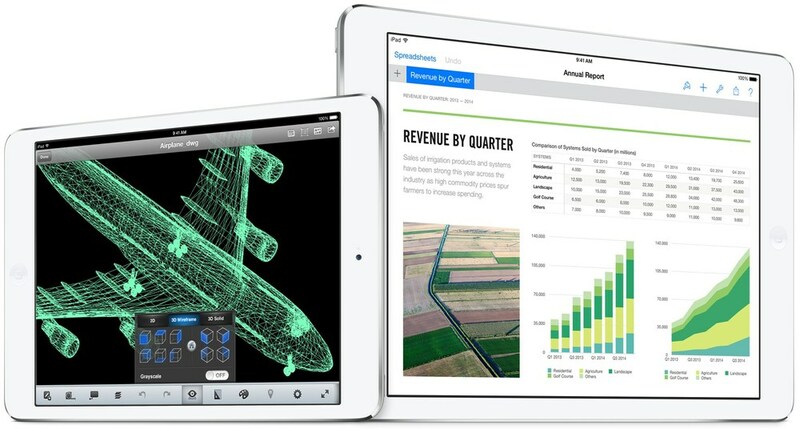 One of the benefits of the iPad and other tablet devices is it gives you the option to use either landscape or portrait as well as to switch between the two. Most people will automatically jump to the conclusion that it's better to have both. But is it? Yes, it's nice to give the reader the option of holding the device in whatever position they prefer. But that's not always the best thing for your content. Your guiding principal when deciding on your books page orientation should be consumption dictates form. What do you think is the best presentation of your content? Will readers be viewing your book on a tablet or on a desktop? Is your work image heavy, predominately text, or a mixture of both? Answers to questions like these will help you decide which orientation to choose. In this guide, we're going to go over the benefits and drawback of each to help you make the best choice for your book. Portrait orientation is taller than it is wide. The cover of any iBooks Author book is set to be mandatory Portrait (for consistency when/if you want it to be sold in the iBookstore). 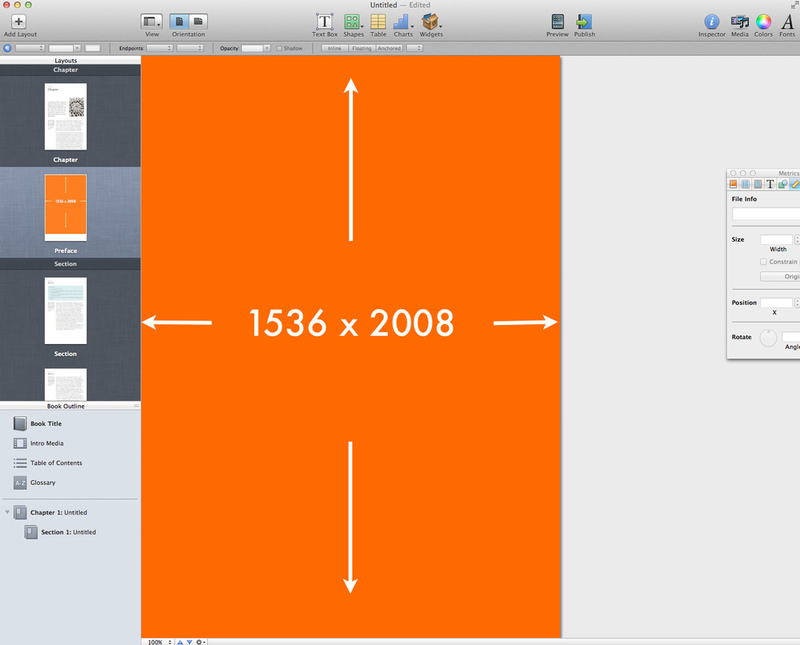 The dimensions are 1536 x 2008. Within the book, the pages are a set width but could scroll infinitely if you don't break them up into Chapters and Sections. A general rule of thumb is that any books which are primarily text-heavy will benefit from a portrait orientation. This orientation is easier on the eyes when reading lots of text. Obviously, columns and paragraphs can break up text in landscape orientation too. But generally speaking, if you don't have a lot of images or things to break up the text, Portrait Orientation is the way to go. Landscape is wider than it is tall (think of an actual outdoor landscape). Within the book, the dimensions are 1024 x 748. If you have a lot of images, graphics, video, or other supporting objects within your text, landscape orientation gives you a lot more flexibility when it comes to spacing and layout for your book. Be sure to check out our post on optimizing images for full screen viewing here. Landscape orientation tends to allow you to create more interesting layouts which can really add to the experience when reading your book. However, this can and will be more challenging if you're not an experienced designer (pssst...that's how we can help you). When working with default templates that come with the iBooks Author application, Apple wants you to choose whether your content should be viewed in one orientation or the other. Each template type is optimized for viewing in either landscape (horizontal) or portrait (vertical) orientation. When you create a book, you choose either a landscape or a portrait template. If a book uses a landscape template: When a reader rotates iPad to portrait orientation, the book reformats slightly. For example, a graphic might appear to the side of text, rather than below it. If a book uses a portrait template: Even when a reader rotates iPad to landscape orientation, the book’s text stays in portrait orientation. However, intro media, the glossary, notes, study cards, and widgets can switch between portrait orientation and landscape orientation. So, the gist is this: if you want both orientations, you must choose a landscape template to work from. But note that Apple templates are very limited when switching back and forth. That's why we create Author Ready Templates for iBooks Author. All of our templates give you this option to use both landscape and portrait. We make our templates to look equally beautiful in both orientations. This is not only helpful for congruency, it will save you a lot of time when trying to customize an Apple template. Tip: If you prefer, you can disable portrait orientation in the completed book in the inspector menu.